Call it a changing of the fedoras: The very week that the legendary Rotman’s Hat Shop and Haberdashery officially shuttered its doors, Stephen Temkin delivered his first Leon Drexler hat. 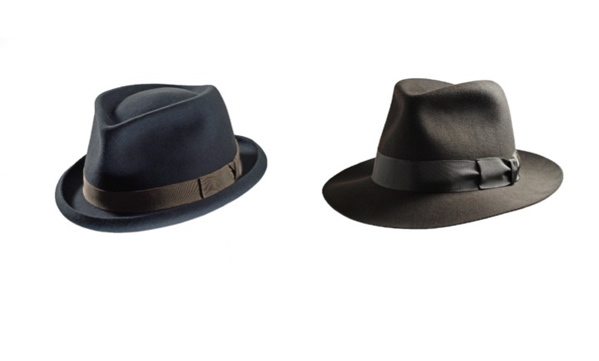 Toronto men with a taste for old-school fedoras, handmade from the finest materials, breathed a sigh of relief. “Every city needs an old Jewish hat-maker,” says Temkin, chuckling in the basement workshop of his Little Portugal home. Hat-makers of any creed are rare these days, however, and the once-booming profession has dwindled to a small handful of hatters in Canada – most of whom focus on cowboy hats. Though the studio officially launched a couple months back, starting Leon Drexler (the name is a composite of names from Temkin’s family) was a years-long endeavour, says Temkin. Perfecting his technique, and tracking down hard-to-find tools – including the UFO-like flanges he uses to shape crowns and brims – was no mean feat. But then, speed is not one of Temkin’s virtues; quality is. Hats, approx. $425. For details, contact Stephen Temkin at stemkin@leondrexler.com or 416-588-4764. Above, two Leon Drexler originals. I wish I had the courage to pull a hat off. They look good, but they definitely take some courage to pull a statement like that off. Hi there! Did we attend AISP back in ’73-’74? Love your work with the hats. Very classy!